Known for its award winning school district and tight-knit community, the city of Minnetonka has easily become one of the best suburban areas in the West Metro. The city’s thriving business community and 20 minute commute to downtown Minneapolis have created endless opportunities and amenities for all to enjoy. In Minnetonka, you will find a neighborhood for every personality and life style. 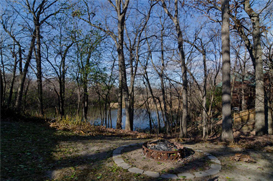 Minnetonka homes can vary in price and depend on the median home value of the area you desire. In 2009, the average Minnetonka home had an estimated value of $317,549. Each year, Minnetonka properties have increased in value because of their location and reputable school district. State of the art neighborhoods, including Marshes of Meadow Woods, offer unique homes, spacious lots, and private living. Additional luxury neighborhoods include: Cedar Pass, Forest Hills, Portico on the Green, Tapestry Woods, Westernesse, Woolman Woods, and more. The homes in these premier neighborhoods have a starting price at about $500,000. Minnetonka homes range in style but typically portray Cape Cod, craftsman, and shingle style characteristics. The city of Minnetonka is part of Hennepin County, is 8 miles west of Minneapolis, and has a total area of about 28.22 square miles. The city also includes the Eastern tip of Lake Minnetonka. According to the 2010 census, 49,739 people reside in Minnetonka, making it the 17th largest city in Minnesota. Minnetonka has maintained a successful business community for several years. Dedicated to open space, park, and wetland areas, Minnetonka offers a natural setting for almost every business. The city is home to the corporate headquarters of Cargill, the country’s largest privately owned company and United Health Group, Minnesota’s largest publicly owned company. United Health Group is also Minnetonka’s top employer with about 4,678 employees. Minnetonka’s extravagant history began in the 1800’s when Native American tribes used the spacious land for hunting, fishing, and trade. Minnetonka’s Minnehaha Creek became part of a major Indian trail that extended from Shakopee to Mille Lacs. In 1851, Indian tribes signed an agreement allowing settlers to come and establish the land. By 1852, Minnetonka’s first settlement was established, which is known as Minnetonka Mills today. For several years, Minnetonka’s land was used for farming and milling but as transportation services improved, allowing accessibility from Minneapolis to Minnetonka, the land became a big attraction for developers. In the mid 1960s, during the opening of I-494, the village’s population reached 25,000 people. As the population increased, Minnetonka found the need for fire and police protection. Soon, a volunteer fire department was established, which remains today as one of the largest volunteer fire departments in the country. The opening of commercial developments along I- 494 continued to bring more people to the area and in 1968 the village of Minnetonka became an official city. Today, the city has become home to many corporate head quarters and of course, families. The city of Minnetonka is one of the ten communities served by the Minnetonka Public School District #276. This high performing school district has been nationally recognized on multiple occasions for its academics, sports, and staff. Minnetonka High School, the districts only high school, is listed among the top 500 best high schools in the country and in 2013 was ranked #6 in the state of Minnesota. Although the majority of Minnetonka families fall within the Minnetonka School District, two other elite school districts (Hopkins and Wayzata) serve portions of the city. Minnesota’s open enrollment statute allows families to choose what school district they’d like to attend, even if they are not within the school district boundaries. The city of Minnetonka is located in Hennepin County about 8 miles west of Minneapolis. Minnetonka has four major routes serving the city: I-394 and Minnesota State Highway 7 (East to West) and I-494 and Minnesota State Highway 101 (North to South).